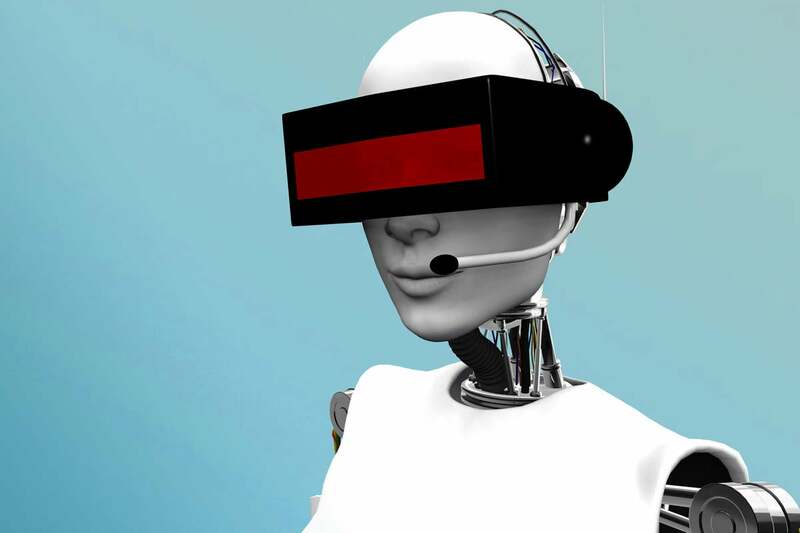 Happy Labor Day -- Will a bot take your help desk job? Competing forces are affecting people who work on help or service desks. One is that tools to automate IT support are continually improving, and advocates say those tools can replace Level 1 and 2 support staff. At the same time, the number of help desk tickets is rising each year, and that puts more demand on the service desk. These crosscurrents in the industry make it hard to predict the fate of some IT jobs. A Pew survey, released in August, of nearly 1,900 experts found a clear split on what the future may bring: 52% of the respondents said tech advances will not displace more jobs than they create by 2025, but 48% said they will. Either way, a push toward automation is certain. In the help desk industry, the goal is to keep as many calls as possible at either Level 0, which is self-help, or Level 1. It's called "shift-left" in the industry. "It costs way more to have a Level 3 or Level 2 person to resolve an issue, and it also takes a lot more time," said Roy Atkinson, an analyst at HDI, formerly known as the Help Desk Institute. To keep costs down, help desks are increasingly turning to automation and relying on improvements in technologies such as natural language processing, he said. A Level 1 worker will take an initial call, suggest a couple of fixes, and then -- lacking the skill or authority to do much more -- escalate the issue. The Level 2 worker can do field repair work and may have specific application knowledge. A Level 3 escalation might involve working directly with application developers, while Level 4 means taking the problem outside to a vendor. Among the companies developing automation tools is New York-based IPsoft, a 15-year old operation with more than 2,000 employees. It develops autonomic technology and couples it with management services. A majority of IT infrastructure will eventually be "managed by expert systems, not by human beings," said Frank Lansink, IPsoft's CEO for the European Union. The company says its technology can now eliminate 60% of the labor required to handle infrastructure tasks. IPsoft's autonomic tools might discover, for instance, that a network switch isn't functioning, or that a wireless access point is down. After encountering such a problem, the system can then create a ticket and deploy an expert system -- a specially programmed software robot -- to make the repair. If that can't be done, a human intervenes. Many service desk jobs have been moved offshored over the last decade, displacing workers. That trend is ongoing. One of the ideas underlying IPsoft's business model is a belief that offshore, as well as onshore, labor costs can be further reduced through automation. Offshore companies are clearly interested. IPsoft's platform was adopted last year by Infosys and, more recently, by Accenture. One IT manager using IPsoft's automation technology and services to support his organization's infrastructure -- including its network, servers and laptops -- is Marcel Chiriac, CIO of Rompetrol Group, a Romania-based oil company with 7,000 employees serving Europe and Asia. "Without the automation, we would have to pay a lot more" for IT support, said Chiriac. The cost savings arise from automating routine repairs and maintenance that might otherwise be neglected, said Chiriac. Nonetheless, Chiriac doesn't believe that automation will necessarily eliminate IT jobs, though it may shift them to other IT areas. "In IT, we're not going to run out of work for the next two generations," he said. The amount work that help or service desks are asked to take on is increasing. Two-thirds of 1,200 organizations surveyed by HDI reported that the number of tickets, either to fix something broken or to outfit a new hire or change permissions, for instance, is increasing annually by more than 60%. According to HDI's survey, the top five reasons for this increase are the following: an increase in the number of customers at the companies surveyed, a surge in the number of applications supported, changes in infrastructure, increases in the scope of services, and the need to support an ever-expanding collection of devices and platforms. That latter could be a reflection of the escalation of the BYOD movement. At the same time, support is being transformed in new ways. A service desk may, for instance, now act as a liaison for all IT service providers, including vendors of cloud and mobile services, said Atkinson. "I think a lot of people have been predicting the death of support for a number of years, and it hasn't happened," said Atkinson.